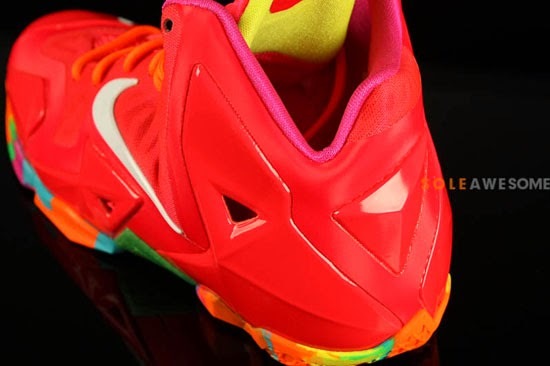 Another kid friendly colorway of the Nike LeBron 11. 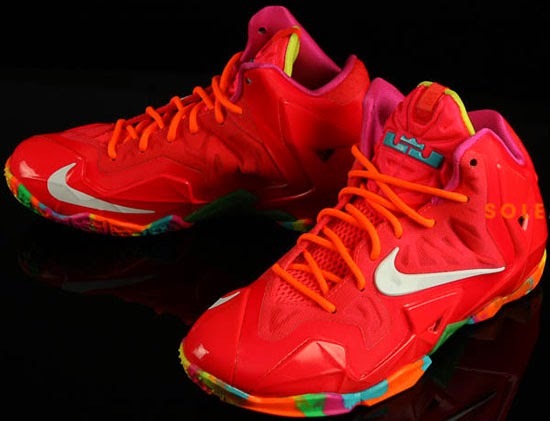 This pair is set to drop next year. 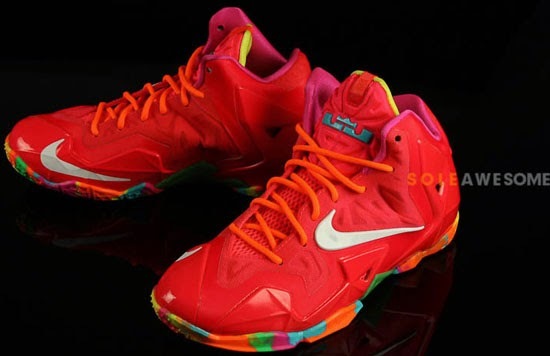 This Nike LeBron 11 GS comes in a varsity red, laser orange, white and pink flash colorway. 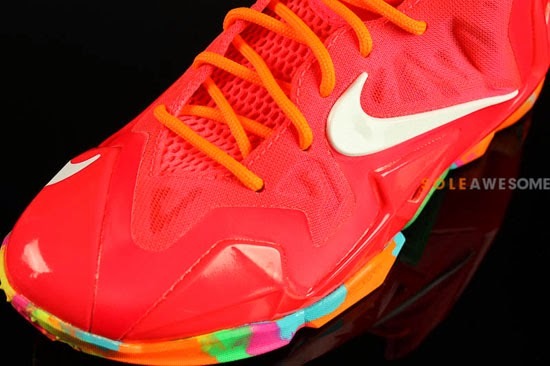 Featuring a red based upper with unique array of bright accent colors finished off by a multi-color design on the outsole. Like the "T-Rex" edition released in November, these were made for kid's and will be available in gradeschool, preschool, toddler and infant sizes only. 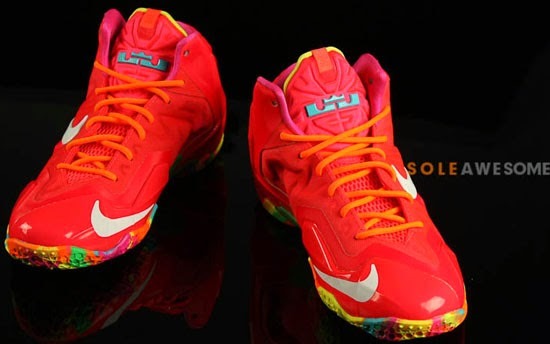 At this time no release date has been announced however, expect to see these sometime early next year. Once an official date is set, I will make an update and let everyone know. 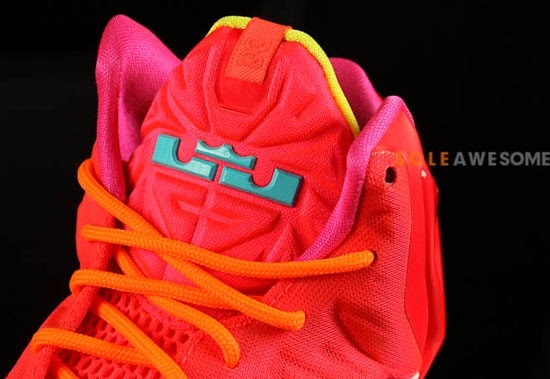 Enjoy the detailed images below of the Nike LeBron 11 GS in varsity red, laser orange, white and pink flash. If you're interested in picking these up when they release, check in with your local spots to see if they will be receiving them. Those of you looking for a pair now can, grab them from eBay here.